WARRANTY, REMOTE START, BACKUP CAMERA, NICE!! Just in! 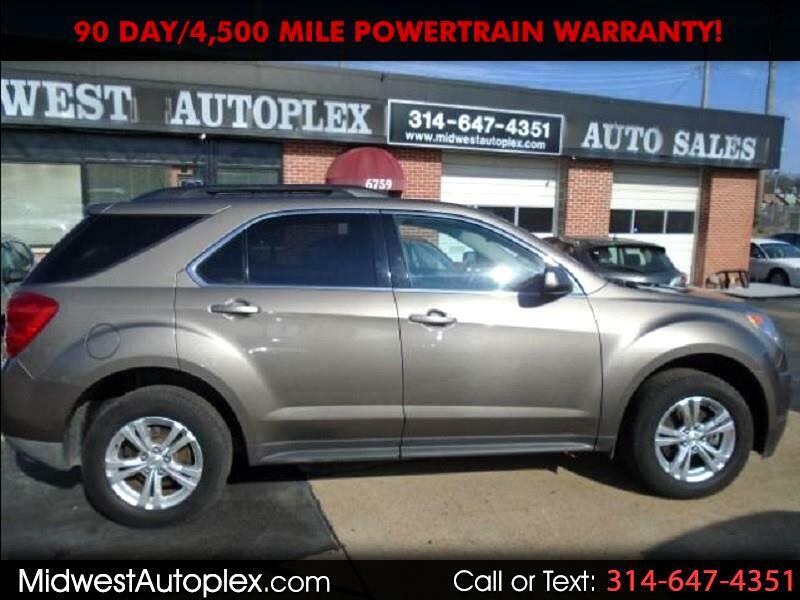 Check out this 2012 Equinox LT! It’s one of the most popular models out there, it’s proven to be safe, reliable and an excellent investment--a proven value you’ll love. Make it yours before it’s gone! CARFAX CERTIFIED BUYBACK GUARANTEED! PRICED TO SELL THIS WEEKEND!! KBB RETAIL $13,120!! FACTORY POWERTRAIN WARRANTY!! LOADED... 2 Owner, VERY CLEAN LOW LOW MILES! BLUETOOTH, BACKUP CAMERA, Remote Start, CRUISE CONTROL, POWER Everything, ABS, CD, 80% Tire Treads, Terrific gas mileage! Economy smart! 24 MPG, Great for kids! Perfect first car! Perfect graduation gift! Runs great and drives excellent. Extra Clean, Non-smoker, Safety and Emissions Inspected, Mostly Carfax Clean! Just e-mail us for a FREE copy. EASY No Haggle Price! A+ rated by Better Business Bureau. Our Clients are extremely important to us and it shows. BALANCE OF MANUFACTURER'S WARRANTY STILL APPLIES. The manufacturer's original warranty has not expired on the vehicle. Consult the manufacturer's warranty booklet for details as to warranty coverage, service location, etc. It is the sole responsibility of the customer to verify the existence of manufacturer’s warranty which has not expired according to its terms, before time of sale. Any and all differences must be addressed prior to time of sale.